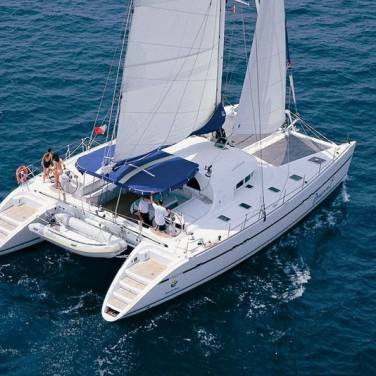 Cruising gulet Atlantia is a lovely yacht offering memorable cruising holidays in Croatia. Fully renovated, gulet Atlantia features 4 double bed cabins and one master cabin with an additional single bed providing accommodation for charter groups of up to 11 persons aboard. All cabins are equipped with air conditioning and private en suite bathrooms, ensuring maximum privacy and comfort to the guests. The interior layout has a classic design, dominated by cozy salon, featuring a TV, CD, DVD player, radio and a computer with internet access. There is a generous sunbathing area with comfortable sun mattresses located on the bow deck whereas stern deck is the perfect place in which to relax or dine al fresco while admiring the passing scenery. 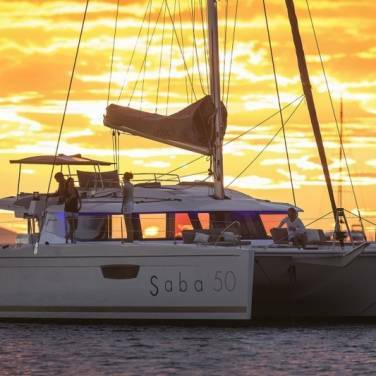 There is a multitude of entertainment activities to choose from while on board, such as water skiing, snorkeling and fishing, while some additional programs such as free climbing, rafting or scuba diving can be arranged on demand. However, the most important advantage of chartering Atlantia is her dedicated and skillful crew consisting of a captain, sailor and a cook, all with an extensive charter experience. A captain and a sailor are there to take care of the navigation and introduce you to Croatia’s most iconic sights and locations. There are several yacht charter routes you can choose from, including the most picturesque summer destinations such as Dubrovnik, Korcula, Mljet, Vis, Split and Trogir. 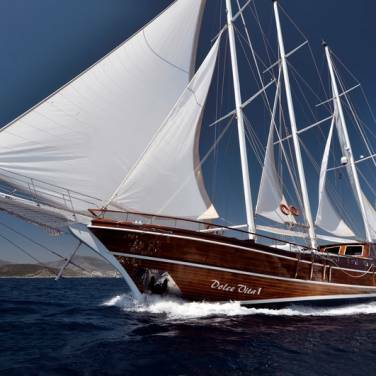 In addition to private cruises, gulet Atlantia is also available for cabin charter upon request. Besides a comprehensive sailing itinerary, chartering a gulet Atlantia brings exquisite gourmet experiences, discreet elegance and welcoming hospitality, precisely what sailing holidays in Croatia are all about.